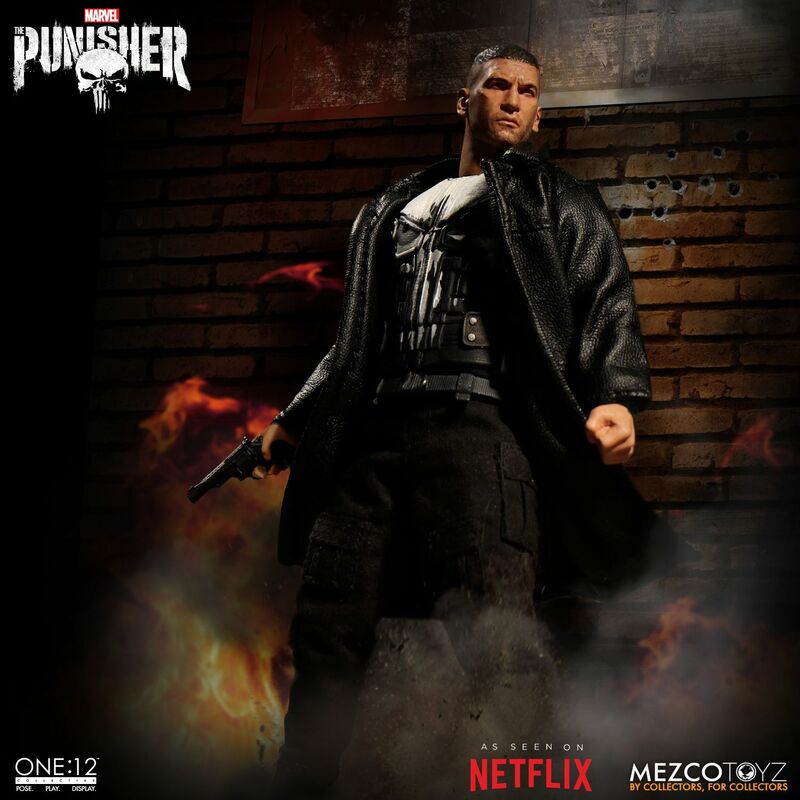 The Toyark › Marvel Toy News › Mezco One:12 Netflix Punisher Pre-Orders Live! 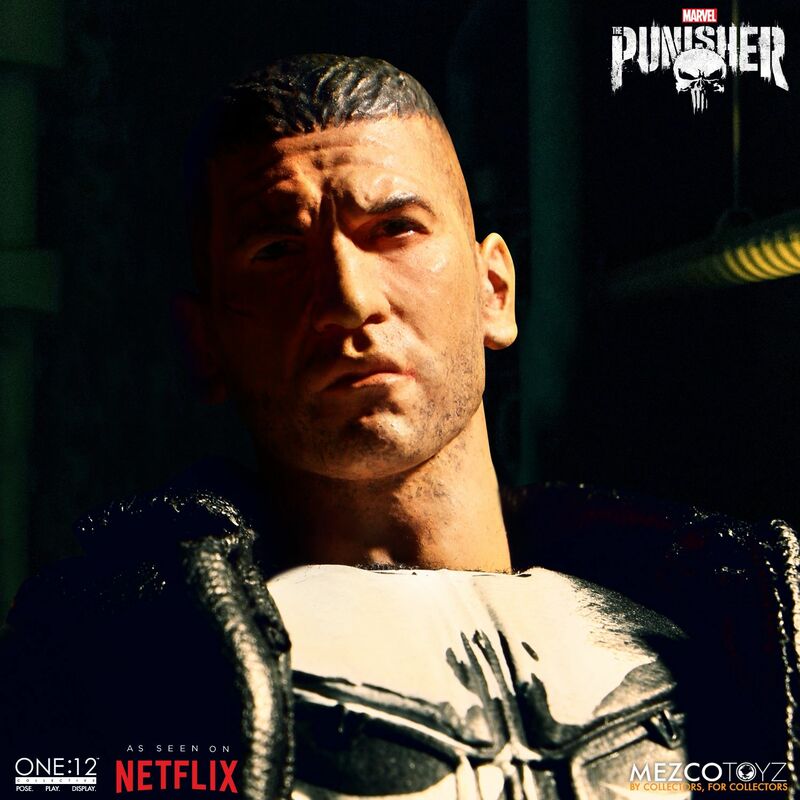 Mezco One:12 Netflix Punisher Pre-Orders Live! 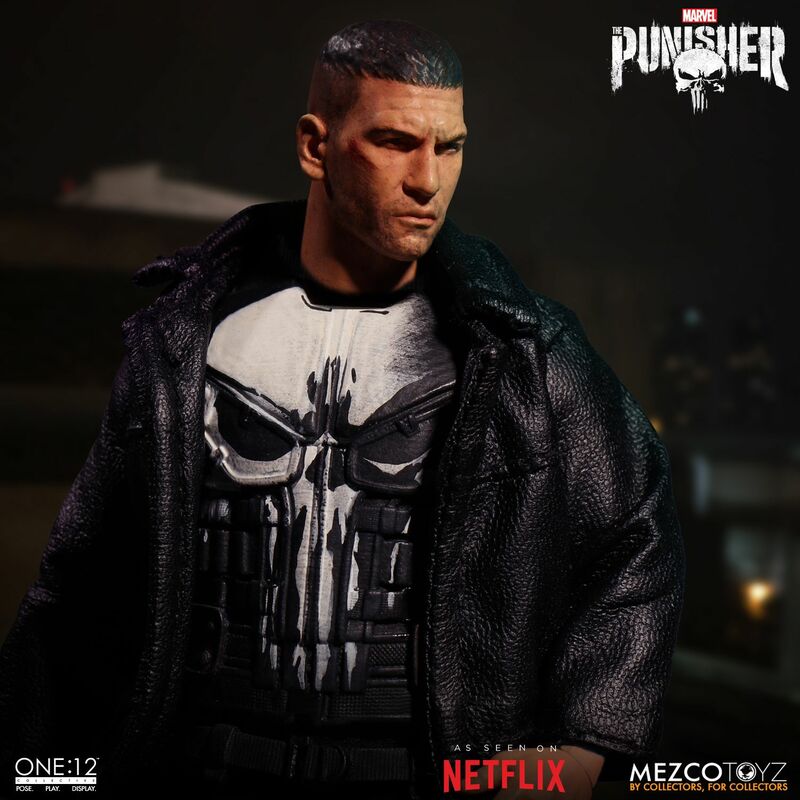 Mezco Toyz has opened up pre-orders for their new Netflix Punisher One:12 Collective Figure. 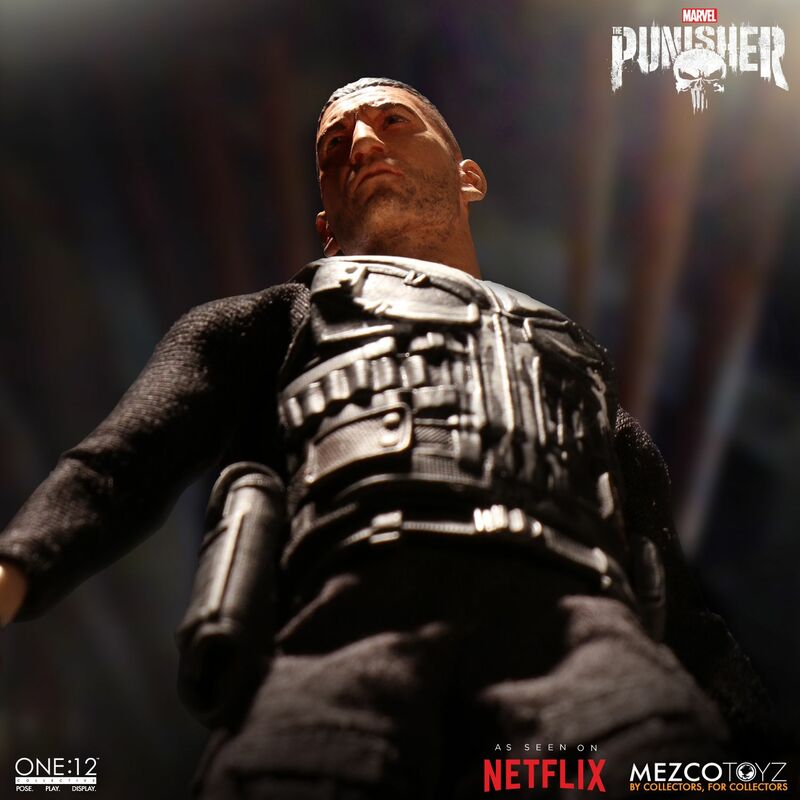 The figure stands over 6.6″ tall with about 28 points of articulation. 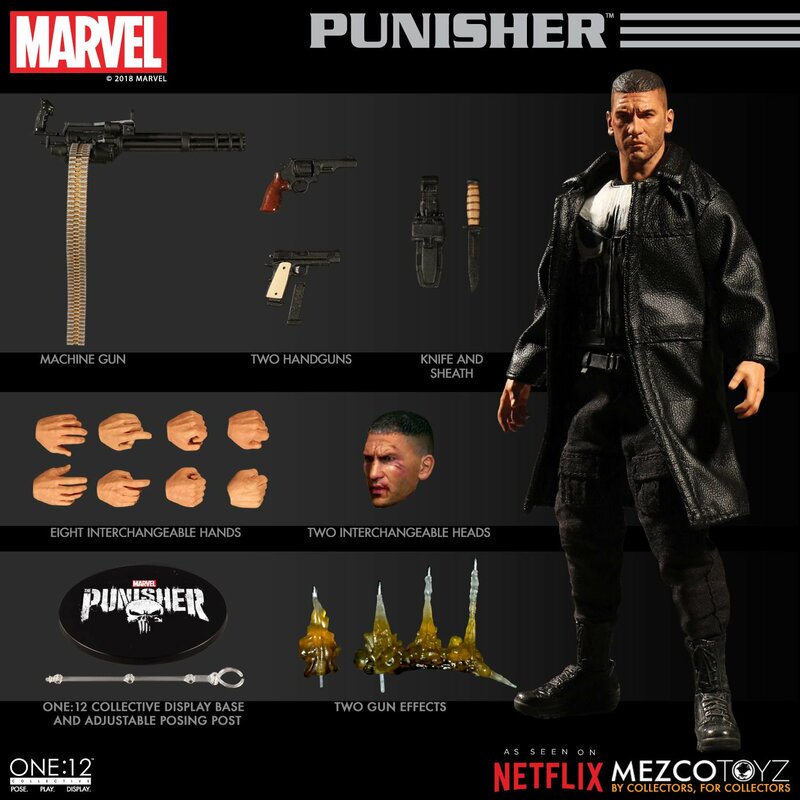 It includes multiple interchangeable hands, two interchangeable portraits, a leather-like overcoat, utility vest, duty belt, a machine gun, two pistols, blast effects and more. 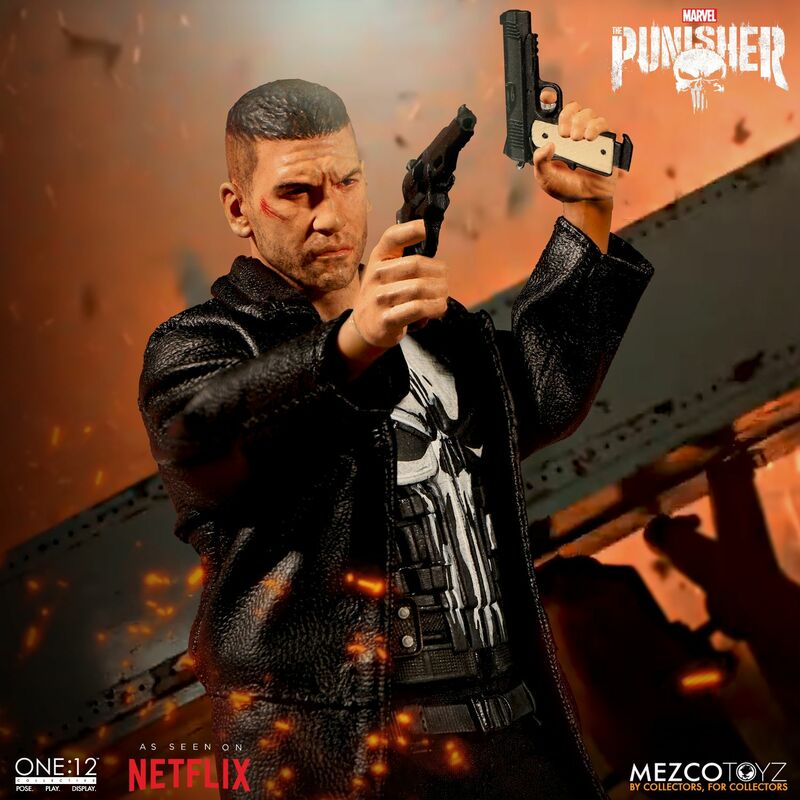 The figure is priced at $80. 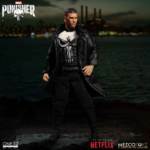 The Netflix Punisher Figure is due for release between November 2018 and January 2019. Check details and photos after the jump! 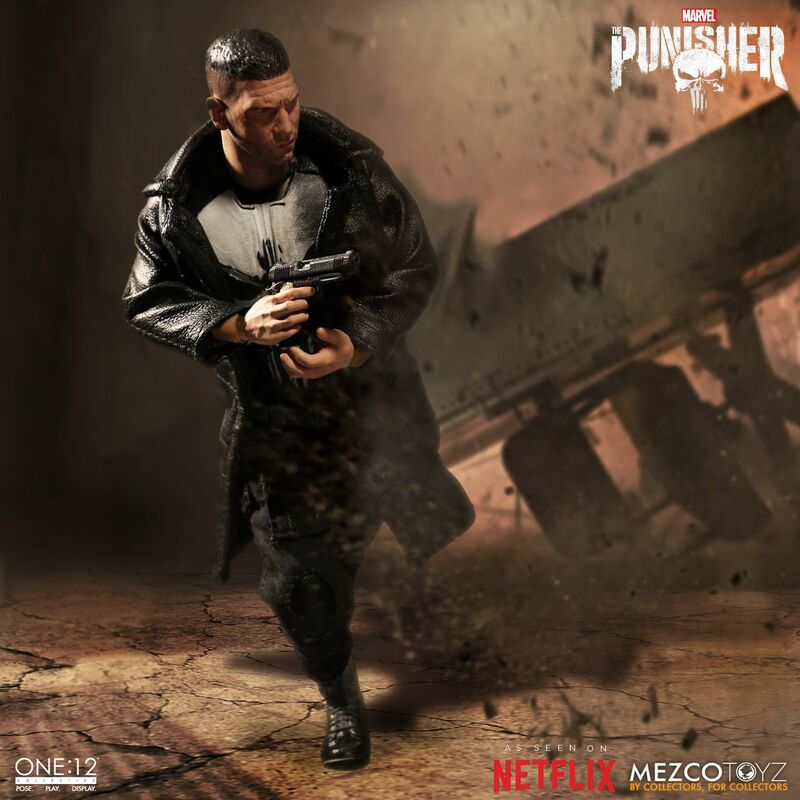 You can hit our sponsors below for pre-orders soon in addition to the Mezco listing. So ordered. 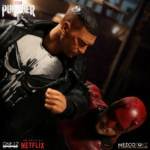 The Punisher and Daredevil figures Mezco released already I think are still some of their best figures to date, and this looks fantastic. I've had to start ordering through BBTS, the $20 NRD from the mezco site doesn't bother me, its that they're kinda terrible about shipping. Tons of retailers get their figures before Mezco ships out to customers who buy directly from their site, so I just order from BBTS these days, they get it sooner. This is fantastic! Pre-ordered that sucker on BBTS! 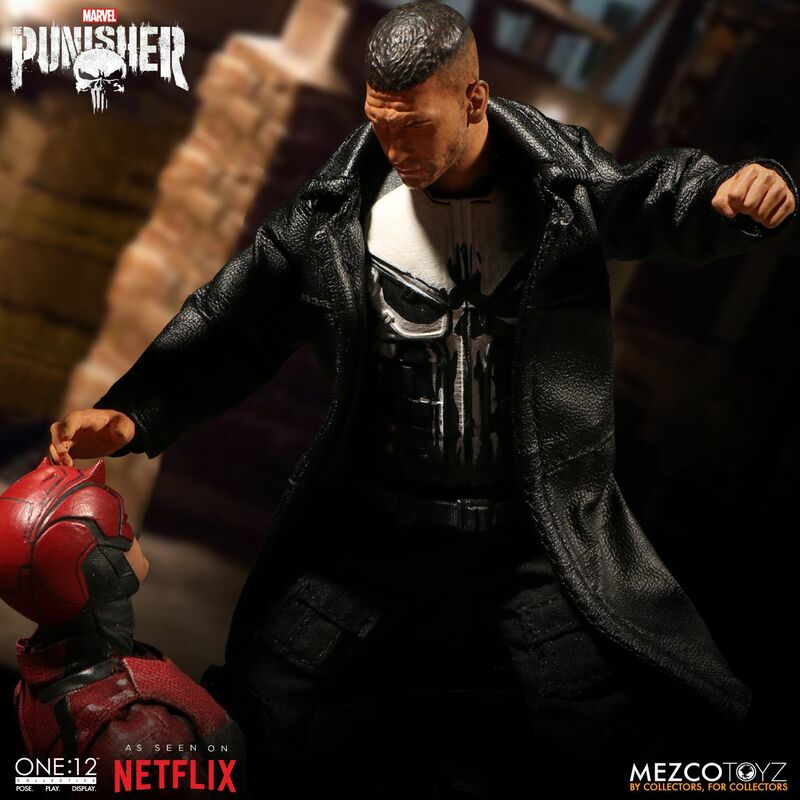 I have the Legends version and the Hot Toys but those are him from Daredevil Season 2, he had a slight change of appearance on his own tv series, so this is great. 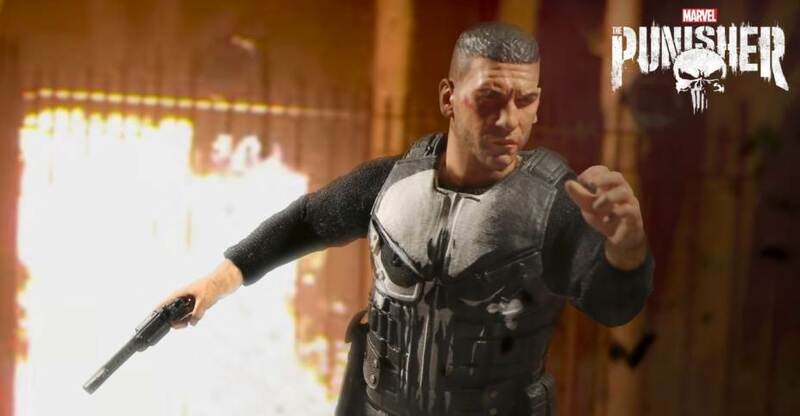 I really wish they included the bearded scruffy look for that second head sculpt. 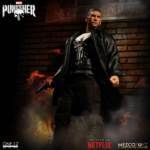 It seems like their intentions were to base it off of the Punisher show because of the Netflix Punisher series logo they used in the photos. I agree though, that was my first thought....the beard, man! 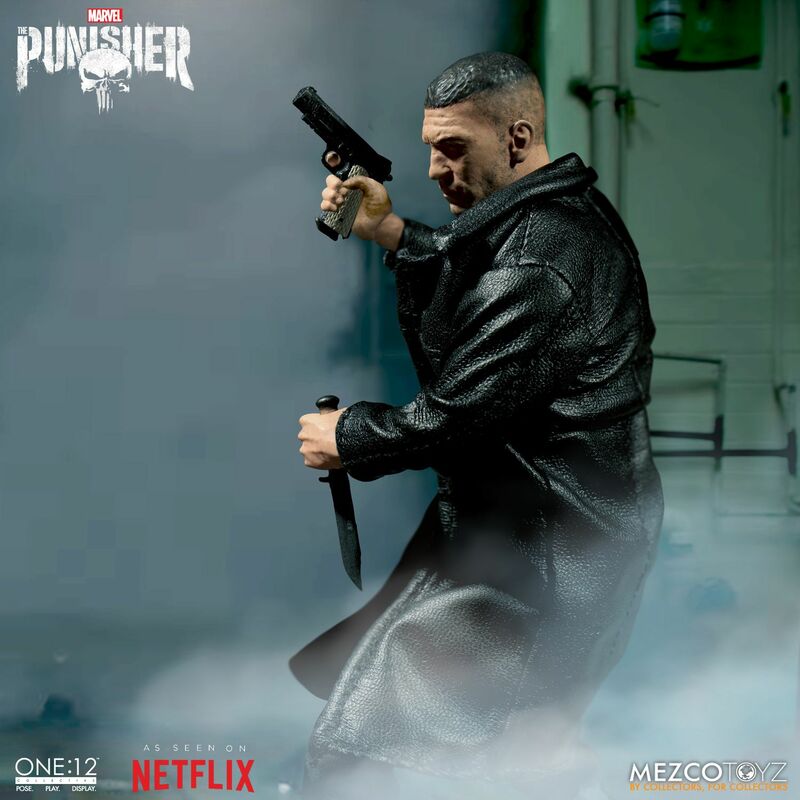 This looks so good, I am considering selling off my Hot Toys version. 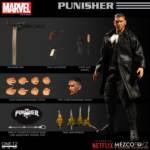 Single-jointed elbows and a neck attached to the head is disappointing for this figure. No good rifle poses and no head swapping. Boo. The accessories look great though! The machine gun and muzzle blast are very cool. 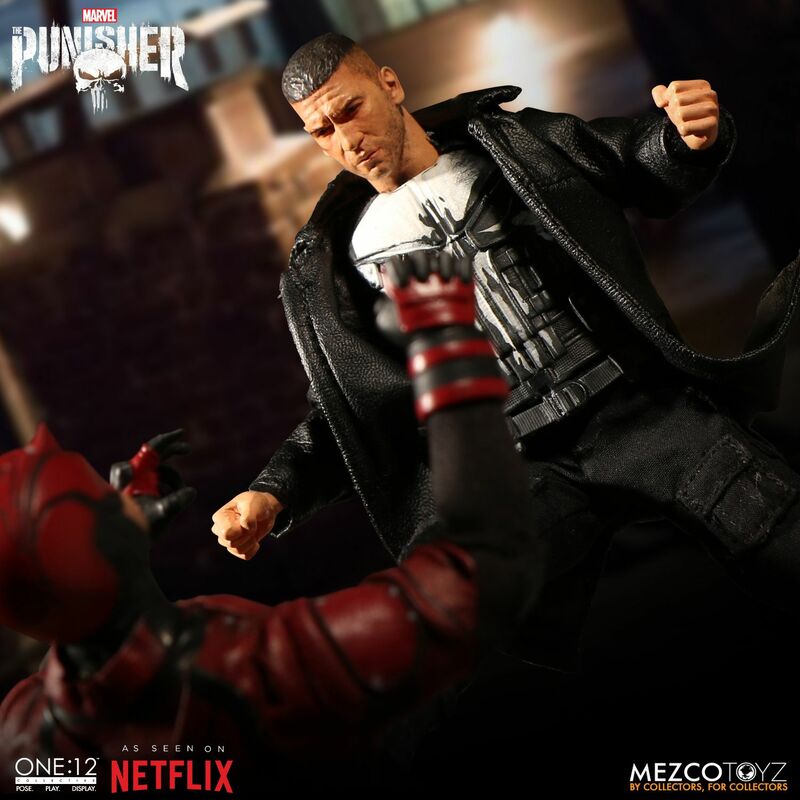 I'll be passing on this release. They may win me over if they do a deluxe/fully loaded version, but the body is hard to get over. What makes you think it's single-jointed elbow? I see no reason why it would be? 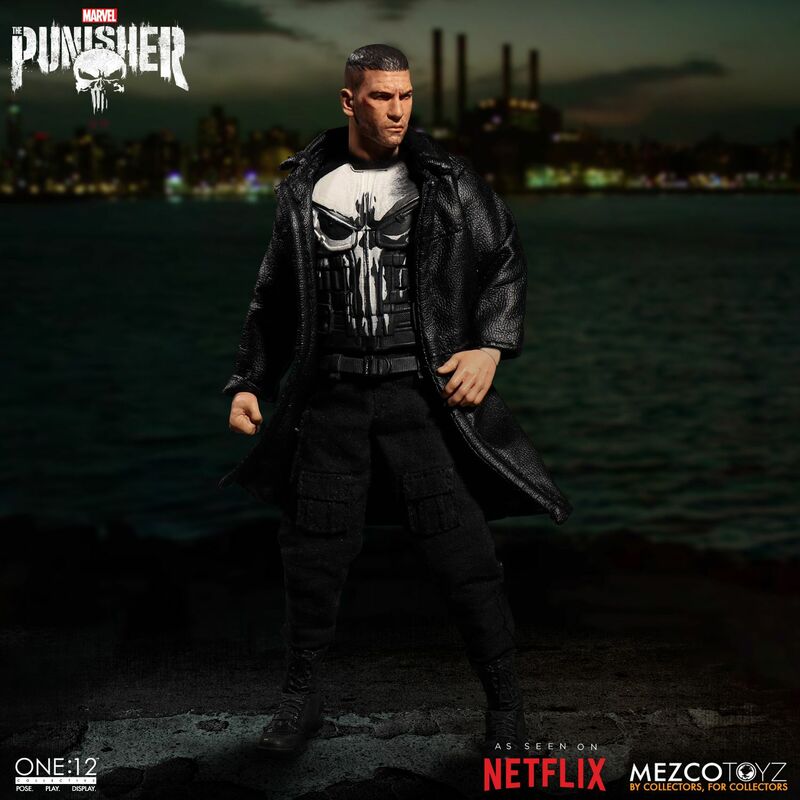 Also, I don't think the head is attached to the neck, promo pics are just photoshopped to make it look seemless. 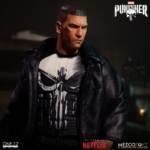 The alternate head doesn't show a neck attached to it. Mezco answered the question and it has been posted on One:12 Facebook groups. Seems to be the Joker/Star Trek body. 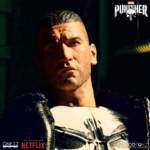 YouTube videos of Netflix Punisher from Toy Fair shows the neck is attached to the head also. 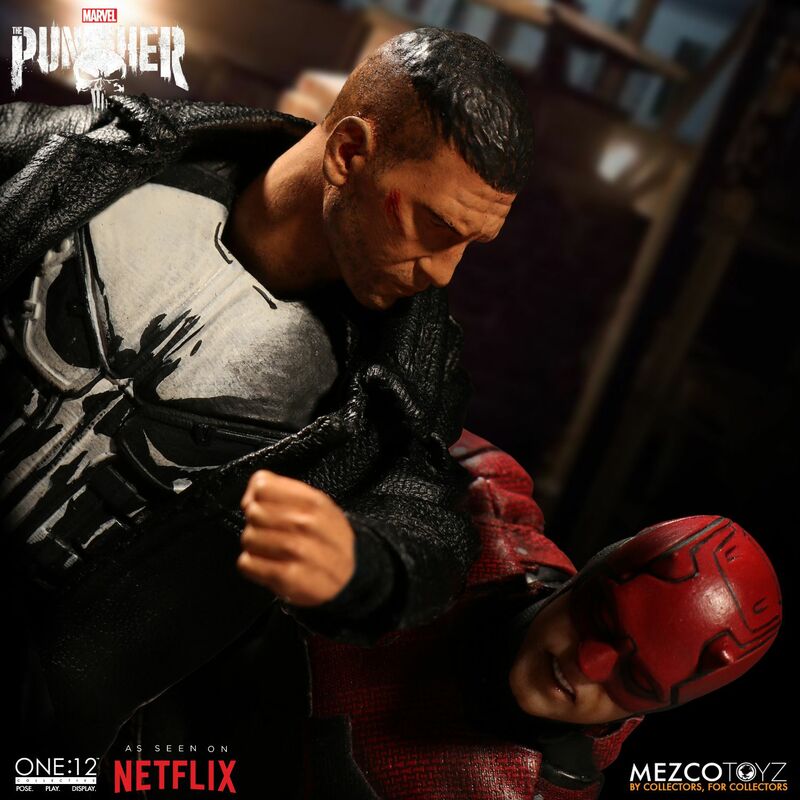 They Photoshop out the necks for the promo image showing what it comes with. Superman, Punisher, Commander Rogers, Blade, Mutant Leader, Old Man Logan, and Thor. 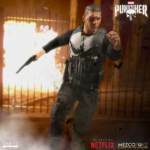 Joker, all Star Trek, Ghostbusters, John Wick, Netflix Punisher, Ash, and Clockwork Orange. 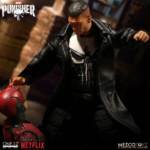 I'm pretty sure there are more figures with separate necks pieces than combined/attached head/necks. 49 separate, 29 attached, 13 Batmen, 6 "Neck is part of torso"
I think that's it, let me know if there's any I missed. I didn't say more attached than separate for all necks, I said for exposed necks... for necks that are skin, not suit. Ooooooh, completely missed that, sorry. So, you are right about your original assertion,, but with a lesser margin than previously thought. Personally, I don't feel that Dredd should make the separate list, because the neck isn't exposed enough to make the list, but technically I think you're correct. 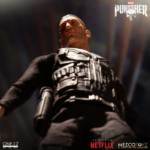 Jason may need to be moved to the "neck is part of torso" grouping though; from what I can tell from pictures, it looks like his neck is attached to the torso with no movement. 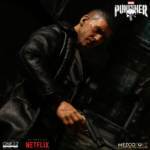 Also, John Wick needs to be added to the attached list. Ah, you're right. When I looked at Jason I thought the neck was a separate piece, but what I thought was the gap between the torso and neck was really just a darkened inset line. Also, thank you for reminding me about John Wick.